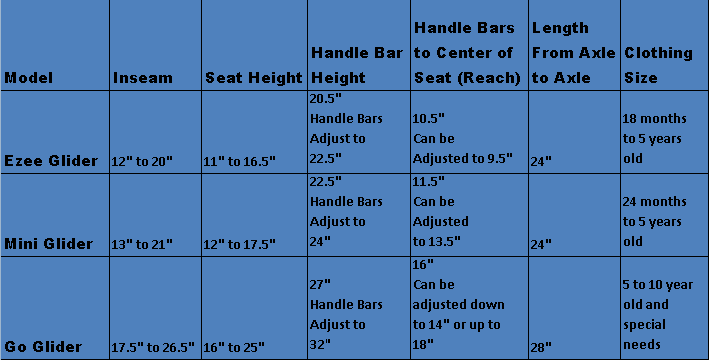 Please refrence the sizing chart below for further information about our Gliders. Not sure how to measure your child's inseam? Consult our FAQ's. Still can't find what you're looking for? Email CSupport@glidebikes.com for more information.